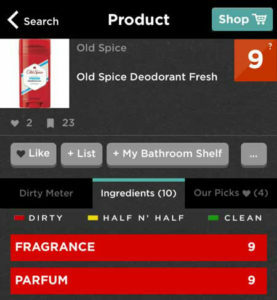 Let’s start by taking a look at a popular brand of deodorant and the ingredients. There is literally nothing “natural” about these ingredients (can you even pronounce some of those?). Think Dirty gave this deodorant a 9. That’s pretty bad. 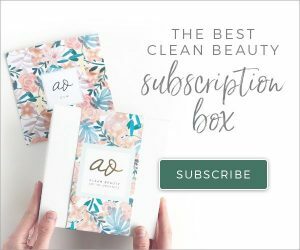 Similar to the ingredients mentioned in my Toxic Ingredients post, many of these ingredients are either cancer-causing, endocrine disruptors, or toxic to your body. Aside from the fact that the ingredients listed above are horrible for you, I’m going to focus on the first one: Aluminum. The majority of antiperspirants contain aluminum, which is used to “block” the sweat glands and prevent sweat from coming to the skin’s surface. But aluminum is a neurotoxin and is extremely toxic to the body. It has been linked with many types of cancers and other diseases such as Alzheimer’s. And even worse, when you shave your armpits, it leaves tiny cuts in your skin, which gives more openings for these harmful ingredients to soak into. Our bodies are designed to sweat. It’s not natural to totally block it – those toxins gotta get out somehow and your armpits are one of the major areas that they come out. 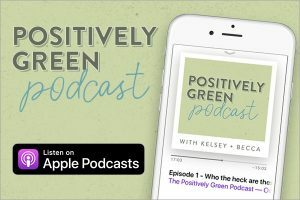 If you are constantly blocking toxins, where do they go? They stay in your body. Continued use of antiperspirants and aluminum will cause a build-up of toxins in your body. And the closest areas to your armpits – your lymph nodes and breast tissue – are where those toxins will go first. In addition, aluminum can have an estrogenic effect and increase the levels of that hormone in your body, which leads to the growth of breast cancer cells. There have been SO many studies about this and they show that antiperspirants and aluminum lead to breast cancer. I have even heard that when you are diagnosed with breast cancer you are told to switch to deodorant that doesn’t contain aluminum. Continued use of antiperspirants and aluminum will cause a build-up of toxins in your body. But the key is to be patient. Just think, all that time you’ve been using antiperspirants, your body has been holding in those toxins. You need to allow those toxins to come out naturally. Literally, sweat them out. So the first day you use a natural deodorant and you’re stinky or sweaty, don’t give up. It will get better after your body detoxes and things adjust back to normal. You may have to apply natural deodorant mid-day, but is that really a big deal? (I can usually go a full day without reapplying, but everyone sweats differently.) I would much rather take two seconds to reapply deodorant than to compromise my health. One of my faves! It goes on easily, smells great, and lasts all day. The Lemongrass scent is my favorite. Use the code ORGANICALLYBECCA for 15% off their entire site! PiperWai works just as effectively as the Bella Organics version above, it is just not as “creamy.” But still easy to apply (although you have to use your finger to apply instead of a roll-on). It lasts all day and does a great job preventing odor. It’s made with activated charcoal which can absorb 1,000x its own weight in moisture. 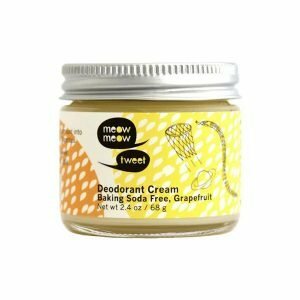 Meow Meow Tweet is super creamy and is made without baking soda, so perfect for those who have a sensitivity to it. The grapefruit smell is amazing! I found that this one does a great job of keeping me dry and smelling good throughout the day. 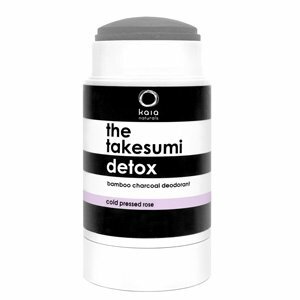 Another charcoal detox deodorant! This one glides on so easily, and it’s made without baking soda which some people have a sensitivity to. 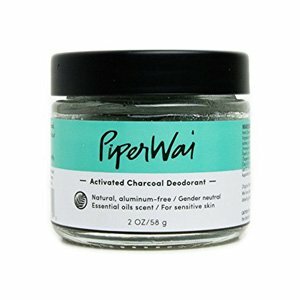 They also make a charcoal detox deodorant starter kit which is a great resource if you’re first switching to natural deodorant! 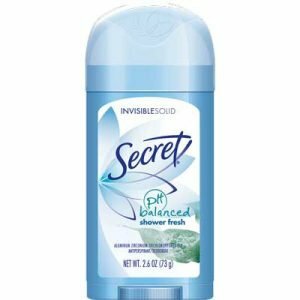 A glide-on deodorant that also doesn’t have baking soda. 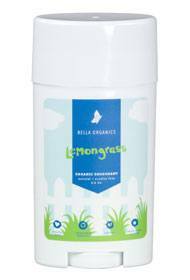 This formula is unscented as well which some people prefer. It feels a little wet when you first apply but will quickly dry and keep you smelling great all day long! Maybe the Ursa Major or Kaia! But a lot of people sweat a lot while they are detoxing, like 2-3 after switching to natural deodorant. Once your body detoxes you shouldn’t experience much sweat at all!